So, one of the best things about pregnancy is it’s a brilliant excuse for a little pamper. Every Mama to Be needs a little TLC, so you can imagine my delight when I came across The 6 Essentials. 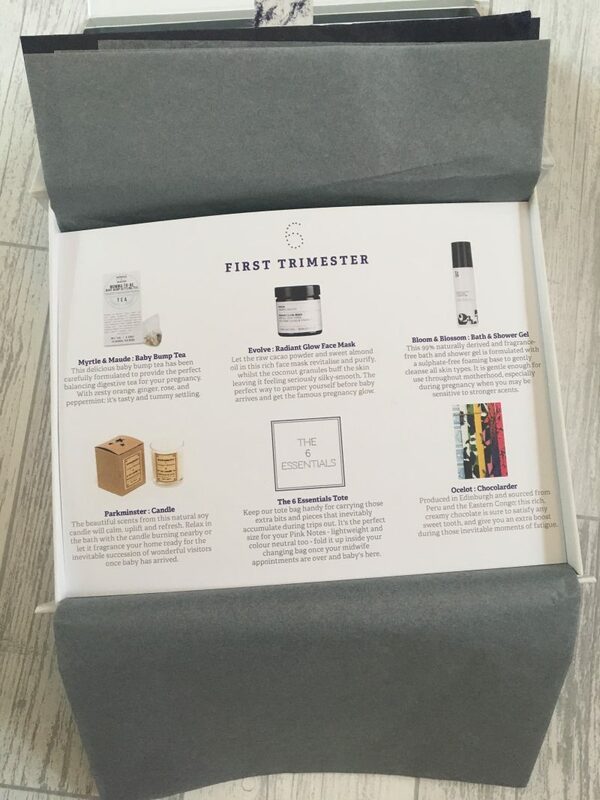 The 6 Essentials was founded by cousins Mary and Alice, having both experienced challenges in pregnancy with exhaustion, nausea and hormones flying about all over the place. Believe me this is something I can seriously relate to at the moment. I am shattered, I throw up every day and some days I’ve had an absolute hissy fit at my husband over things as minor as there being no crumpets in the house. So the prospect of a little box of goodies to relax and pamper me was MOST welcome. And it didn’t disappoint! There are so many positive aspects to this company; they use organic and natural products, and these are products from companies that are much sought after such as Molly and Moo, Skin and Tonic and Evolve Organic Beauty but often you are treated to products that many others haven’t heard of; nothing like being the first in with a sneaky try of a new product! And, unlike many other gift box subscriptions the products are full size! I was so pleased with this as there is nothing worse than getting a lovely product but just a tiny tester size. Each and every one of these products is a little gem. I mean first of all, chocolate, always welcome!! I got the salted almond Ocelot bar in my box and it was delicious. 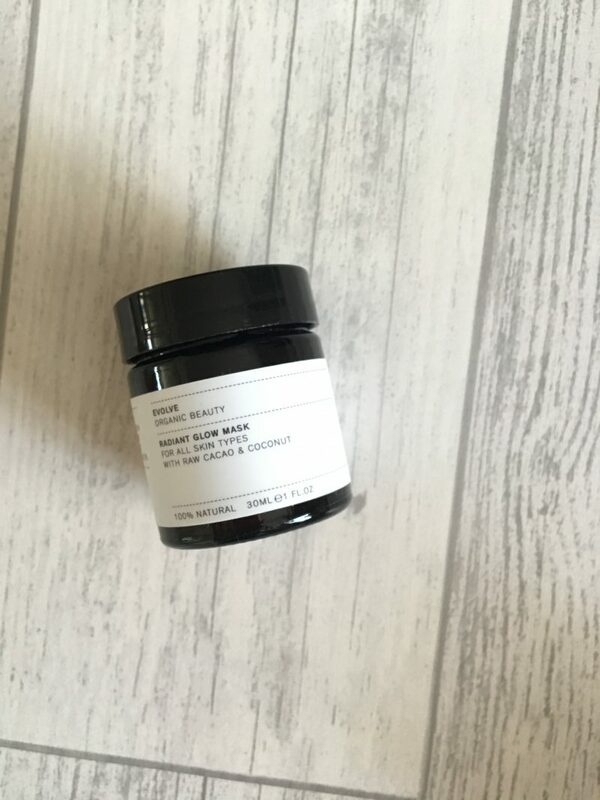 The Evolve Organic Beauty Glow Mask is incredible. 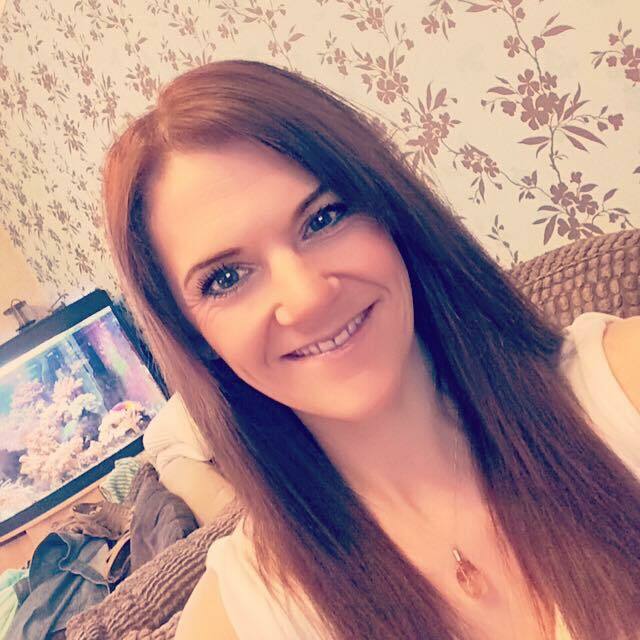 It has the most amazing coconut scent and gently exfoliates; it made my skin look so much better which I really needed thanks to the joys of hormones playing havoc with my complexion! In keeping with the bathroom pampering, the Bloom and Blossom Shower Gel was lovely. It was a very subtle scent though so you had to use a fair amount to truly appreciate the smell and lather up, but as you’re sent a full sized bottle I was more than happy with this. The Parkminster Scented candle was lush! It didn’t last long as I lit it straight away and indulged in its relaxing aroma. I love a candle, and it was a perfect way to relax and unwind. 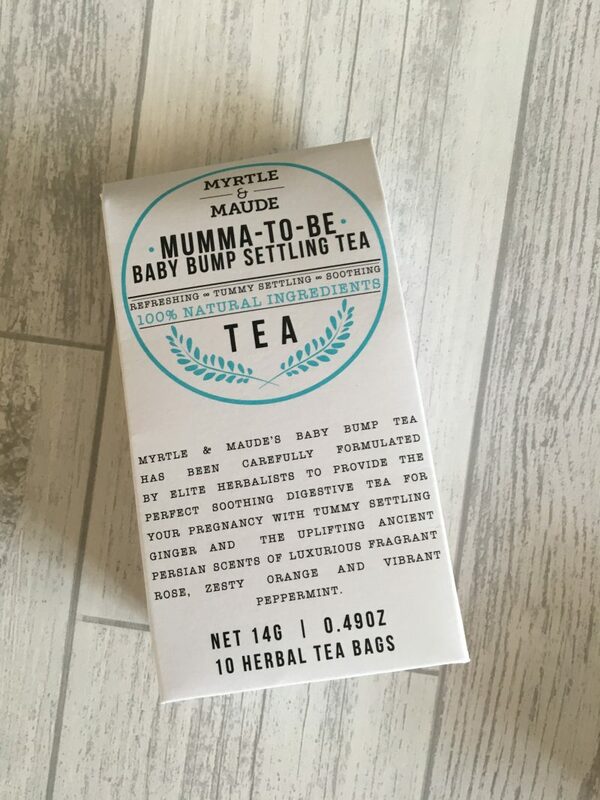 I have to say my stand out product has been the Myrtle and Maude Baby Bump Settling Tea. As I’ve already said, I’ve suffered dreadfully with sickness and this tea was about the only thing I could stomach in the mornings. It was without a doubt my favourite product of the box. 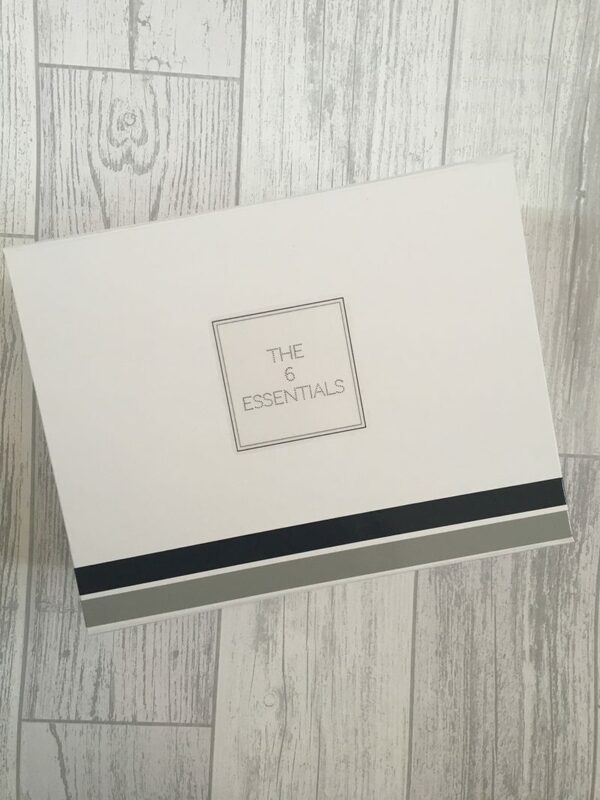 One of the best things about treating yourself to The 6 Essentials is that you are not only getting amazing products to help you unwind but on top of that you are supporting small businesses. It is great to support small businesses where you can. So it’s safe to say I was pretty bloody happy with this little box of goodies, and you would be too. 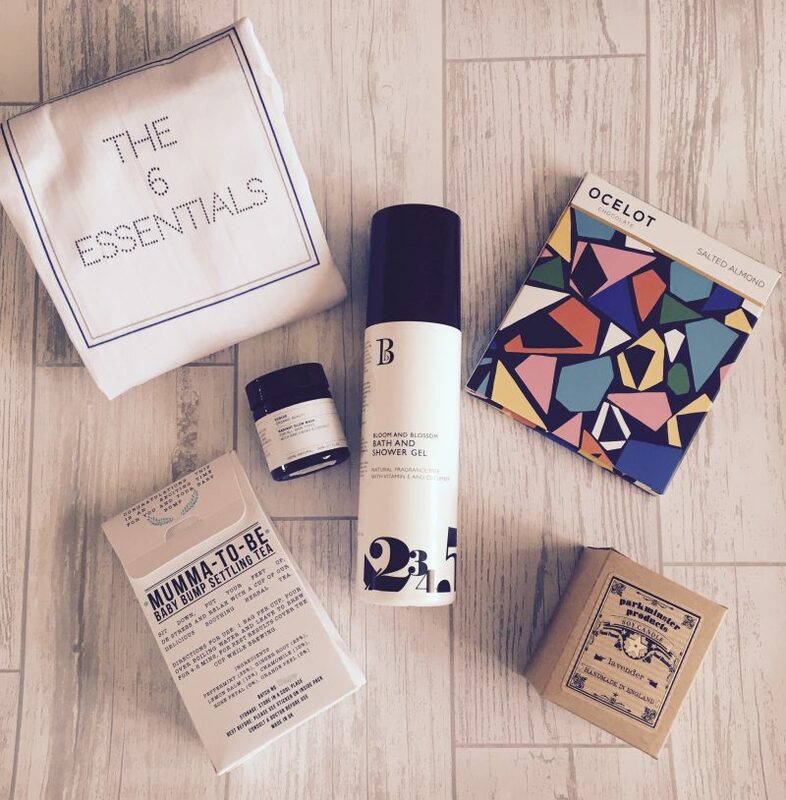 Check out The 6 Essentials website here and indulge. You deserve it! 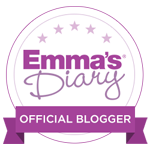 Previous Post I’ve Got Something To Tell You…..